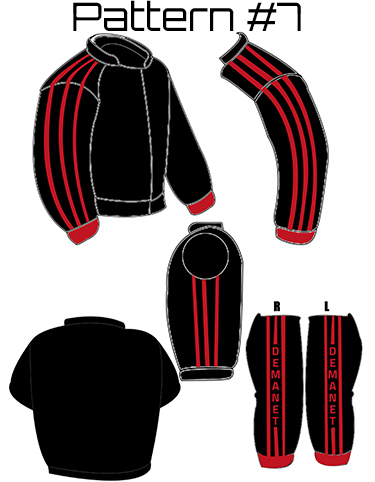 You can choose from a variety of custom suit designs that you can choose from if you are not designing your own. 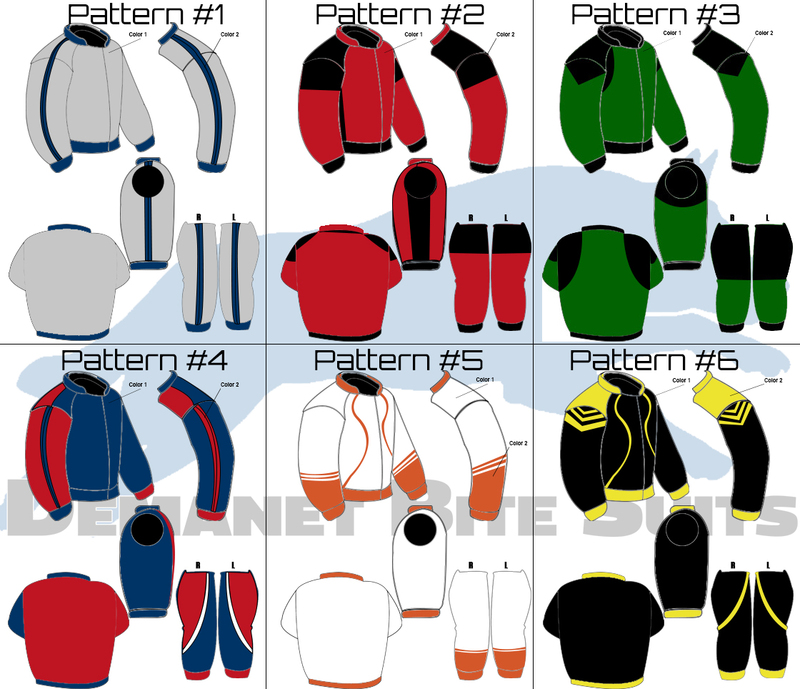 On the product page when ordering be sure to choose the design # and colors that you want on for your new bite suit. Order Your Bite Suit Now!